Here for sale is a 1999 T-reg Honda VFR 800 FI with 18,681 miles on the clock. This stunning example of a iconic sports tourer is fitted with a seat hump, carbon hugger, crash bungs and datatagged. It has just been fully serviced, a new battery fitted and has a recent pair of tyres. 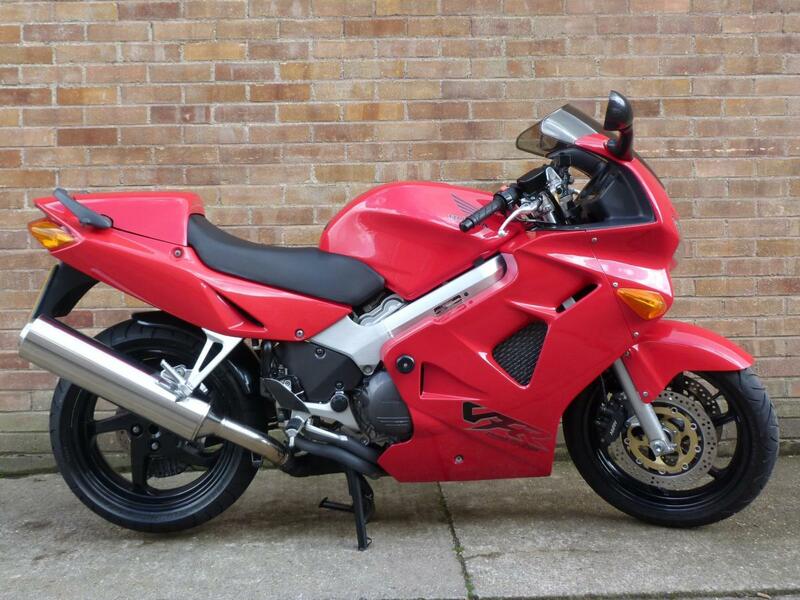 This is a rare opertunity to buy a lovely example of the pre vtech VFR!